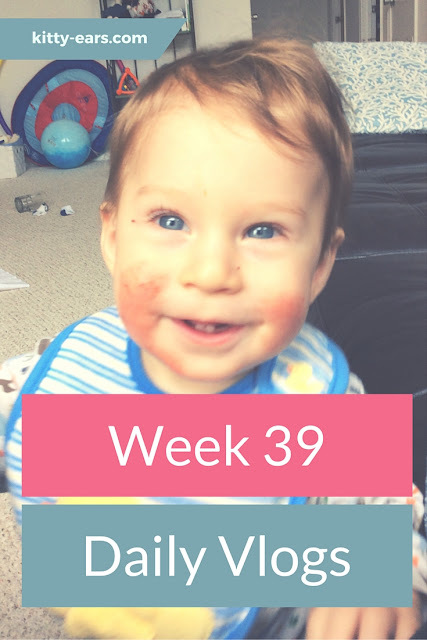 Reuben's cheeks were not doing well this week, despite me still being refined sugar, gluten, dairy, grain and soy free. I have no idea what he is reacting to and its driving me crazy. I pray for him and apply cream. His poor little face is itchy almost all the time! But he is a trooper and a ball of happiness, and I love him. We did a lot this week, and I had fun. I can't wait to look back on our vlogs in 20 years, if I am still on this Earth. Reuben is wonderful, and I am blessed to be his mother and Brian's wife.